Use a damp cloth to wipe your windows. This will help remove dirt and dust. Remember not to use too much water, as moisture will encourage rot in wooden parts of your window. Wash aluminum and vinyl-framed windows with a soft scrubbing brush and a mild detergent. A glass cleaner will make your windows sparkling clean. Do a thorough checkup of your windows every season. Inspect the condition of the window sash and frame. Be alert for any signs of moisture infiltration that will cause your windows to deteriorate. Exposure to the sun can make certain areas of the frame warp and become brittle. Some of the paint may have also peeled off over time. When the damage is extremely unsightly and is already affecting your home’s comfort, consider having a complete home window replacement. Damage like splinters, cracks and holes in the window require your immediate attention. The longer you take to address them, the more your unit will perform poorly. Clean out bad wood and fill the gaps with epoxy putty. Once it dries, sand the area, then apply the primer and paint. Like damaged frames, broken glass also needs to be treated promptly. 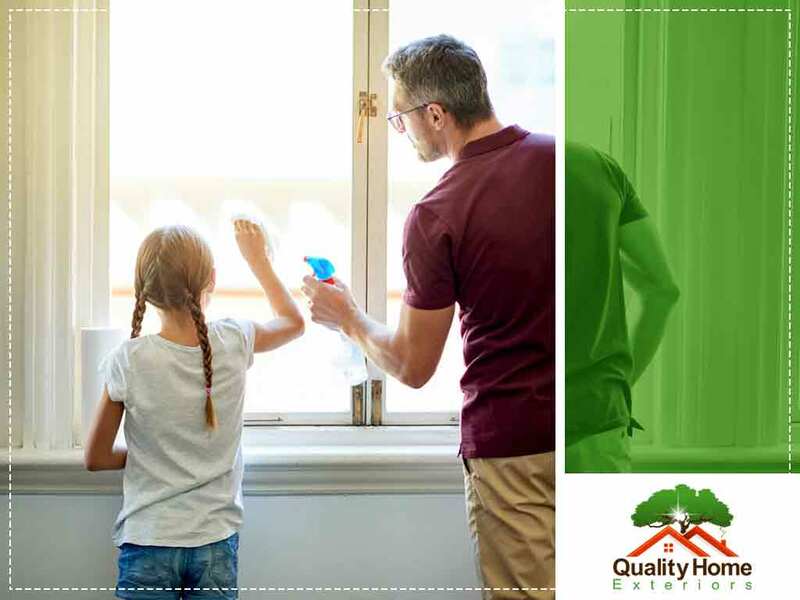 Keep your windows in good shape with proper upkeep. Trust Quality Home Exteriors for your new window installation and repair. Call us today at (402) 401-4505 or fill out our contact form to get started. We serve clients in Lincoln, NE, and Kansas City, MO, as well as nearby areas.